Joint Stiffness - What Makes Your Joints Stiff in the Morning? Joints are defined as movable connections between two bones. Each joint consists of different structures that allow us to move easily. Since joints are always active, whenever we make a movement, it’s easy to injure them. Most of us experience pain and discomfort in joints at one point or another. Yet another common symptom that affects many people is joint stiffness. What is it, actually? What are the causes of joint stiffness and is there anything you can about it? Find all the answers below. Joint stiffness is the apparent loss of the joint’s range of motion or a sensation of difficulty moving a joint. In most instances, stiffness accompanies swelling and pain of a joint. Depending on the cause of joint stiffness, other symptoms like redness, warmth, tenderness, numbness, and tingling may be involved too. Stiffness usually occurs after a person has been sedentary i.e. didn’t move for a while. A great example is a difficulty getting out of the bed in the morning. 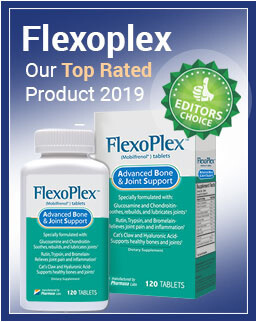 In fact, most people complain about joint stiffness in the morning and the elderly are primarily affected, but everyone can experience this issue. Although having stiff joints may not seem like a big deal, it is rarely a stand-alone occurrence. Instead, joint stiffness is usually an indication of muscle tightness, worn joints, inflammation, among other things. The average episode of stiffness lasts between 10 and 15 minutes, but in some cases, it can take up to an hour for it to subside. It usually goes away once a person starts moving joints and muscles. In terms of intensity, joint stiffness can be mild and occur after prolonged inactivity e.g. after sitting too much or it can be severe and have a serious impact on your mobility and range of motion. What are the causes of Joint stiffness? As mentioned above, joint stiffness is rarely a standalone problem. It usually accompanies other symptoms which are connected with a specific health problem. 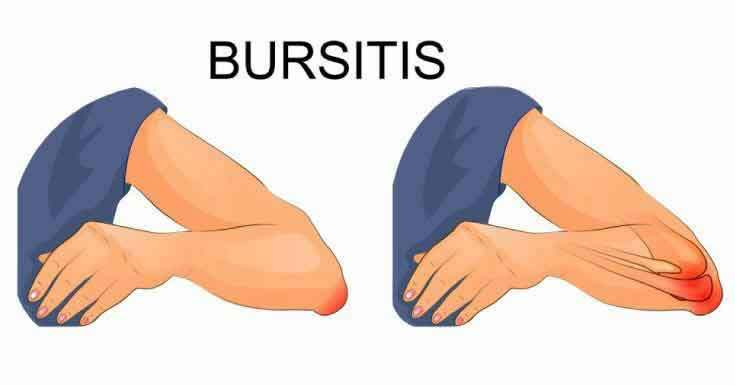 Below, you can see the list of common conditions that can cause joint stiffness. Rheumatoid arthritis (RA) is an autoimmune condition that affects more than 1.5 million Americans, according to the Arthritis Foundation. Women are three times more likely to develop this common type of arthritis than men. The condition occurs when the body’s immune system starts attacking joints, but it can also affect eyes, skin, lungs, blood vessels, and heart. 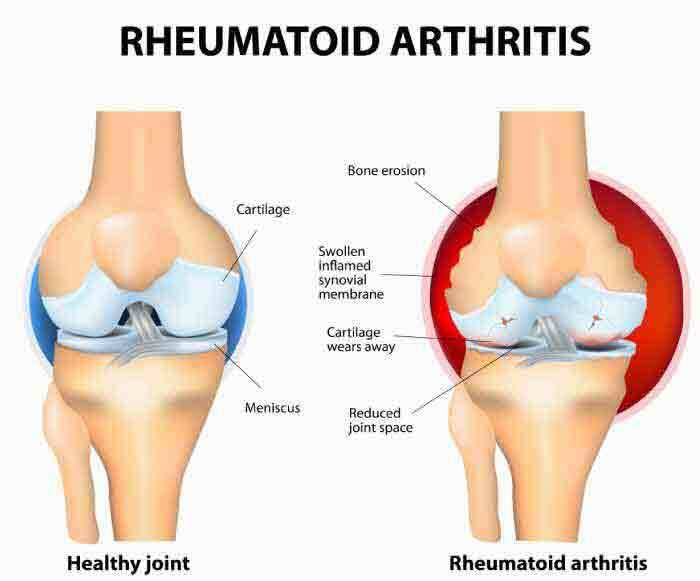 Rheumatoid arthritis affects the lining of the joints and causes swelling that can lead to deformity of the affected joint. Osteoarthritis (OA) is the most common form of arthritis. The CDC reports that more than 30 million Americans are diagnosed with OA. Just like RA, women are more likely to develop this type of arthritis than men. Osteoarthritis occurs when cartilage located at the ends of the bones wears down. 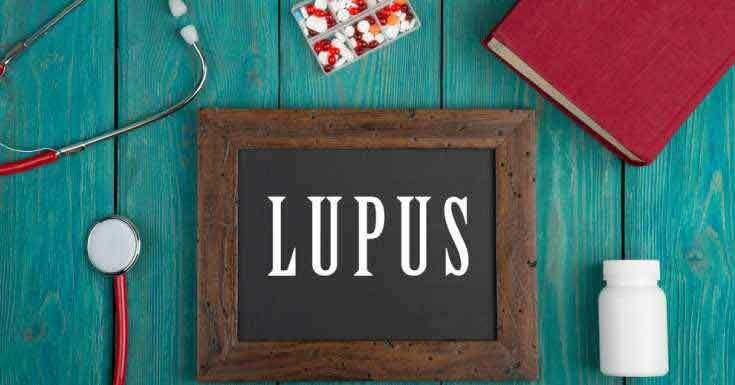 Lupus is an autoimmune disease characterized by inflammation affecting joints, kidneys, skin, blood cells, heart, brain, and lungs. Numbers show that 1.5 million Americans, and at least 5 million people worldwide, have lupus. The condition is mainly prevalent among women of childbearing age, but other age groups and men can develop it too. Gout is a type of arthritis characterized by sudden and intense attacks of pain, tenderness, swelling, and redness of the joint at the base of big toe. Unlike other types of arthritis, gout is more prevalent in men than in women. Gout attacks can occur at any time, even when you sleep. It’s not uncommon for patients to wake up with intense pain and tenderness in their toe. As the disease progresses, the affected joints may become stiff and limit your range of motion. According to the American Cancer Society, about 3450 new cases of bone cancer will be diagnosed in 2018. This year, it is estimated that 1590 people will die from this severe disease. Patients with bone cancer tend to experience bone and joint pain accompanied by swelling, stiffness, and sensitivity near the bone area. It’s important to mention that not every bone cancer patient experiences pain, which is why it’s difficult to diagnose it. What are the Tips to Overcome Joint Stiffness? Joint stiffness is a common occurrence, particularly among older individuals. In most cases, joint stiffness is just one of many symptoms associated with some specific condition such as osteoarthritis. In order to alleviate stiffness and prevent it from decreasing your mobility, it is important to be active. Since stiffness usually occurs in the morning, try to do some easy stretches while you’re still in bed. That way, you’ll find it easier to get up. Nevertheless, you can also turn to a joint pain supplement such as Move Free Advanced which might provide relief from joint stiffness.